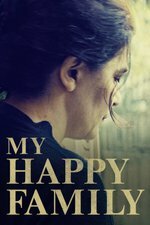 Tbilisi, Georgia, 2016: In a patriarchal society, an ordinary Georgian family lives with three generations under one roof. All are shocked when 52-year-old Manana decides to move out from her parents' home and live alone. Without her family and her husband, a journey into the unknown begins. This film takes place in the part of world that I've studied and lived in for the last 2 decades, so it is very close to my heart. This was picked up by Netflix and came out on Dec 1 to rave reviews. I'm not entirely sure if people not acquainted with this part of the world will enjoy this as much but the overall theme of a woman breaking away from traditional roles is great and the acting is superb. If you like films where you are plopped into another culture, this is for you. Ooh, I will have to check this out! Even if it will make me crave khinkali.